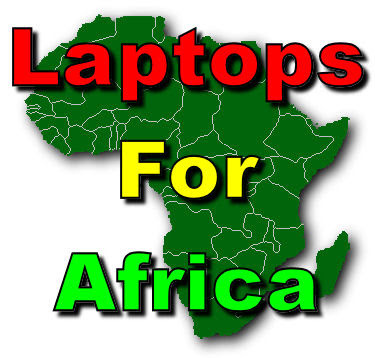 Whenever you go to one of those electronics superstores, you will see big signs for Laptops for Africa. 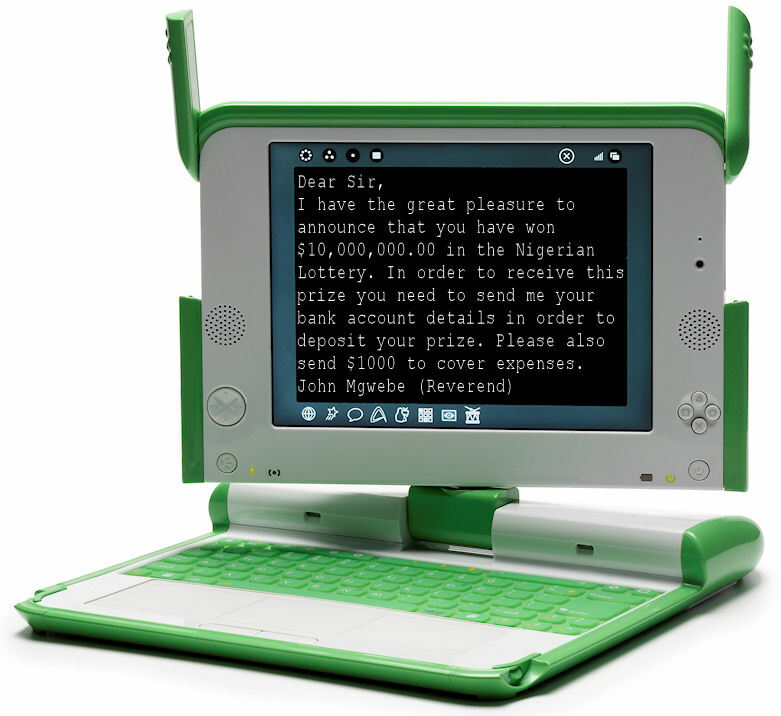 For around $125 you can donate a laptop to an African child to assist them in escaping the clutches of poverty. 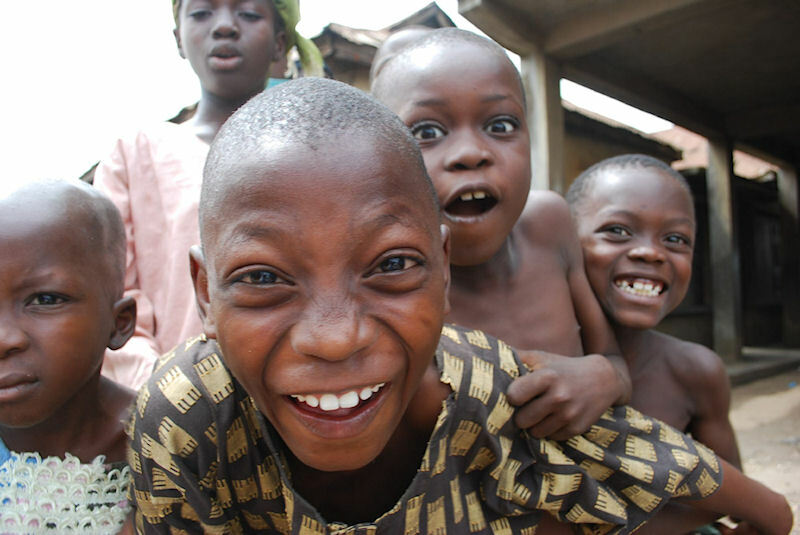 How exactly are these Nigerian children climbing out of the poverty pit? They are using these donated laptops to send 1,000's of emails daily to innocent members of the public, telling them they have won the Nigerian Lottery. All that the lucky winners have to do to claim their prize is to send their banking details plus $1,000 to cover administrative expenses to Reverend John Mgwebe. but I could use $10,000,000.00 right now"
Most people are wise to these scams, but every once in a while somebody falls for it, usually an older, less computer savvy person who loses their life savings, much to the enjoyment of the poor, unfortunate third world beneficiaries of free laptops. "Hey it's my turn, I wanna play farmville"
So next time you donate a laptop to a charity, take the time to donate an Internet Security program to an old person too. I've recently got an e-mail from someone in Africa wanting me to help him claim $9 million! LOL! ha! spamblockers for septugenarians...I like it!